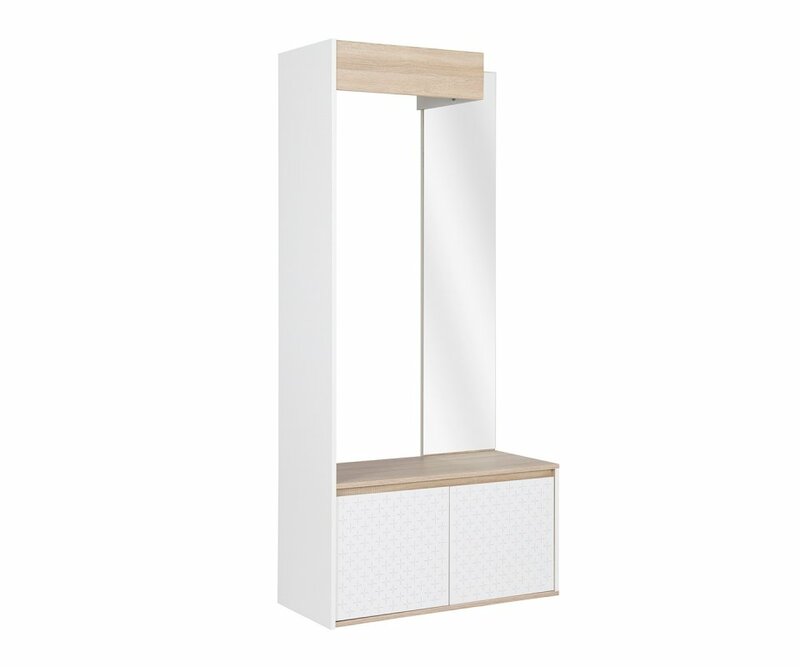 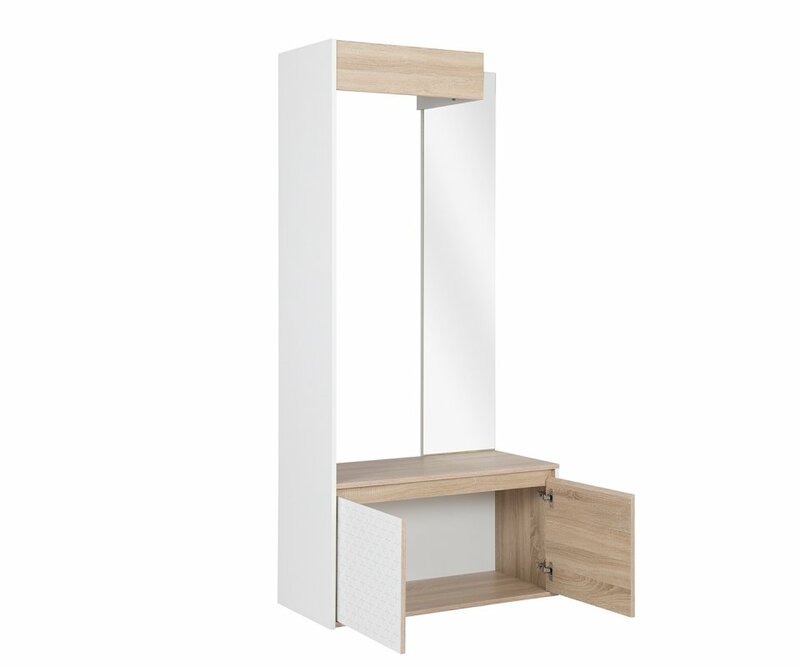 The Plus Hallway Unit provides a closet, storage space and full-length mirror in just 35.8” x 16.5” of floor space! 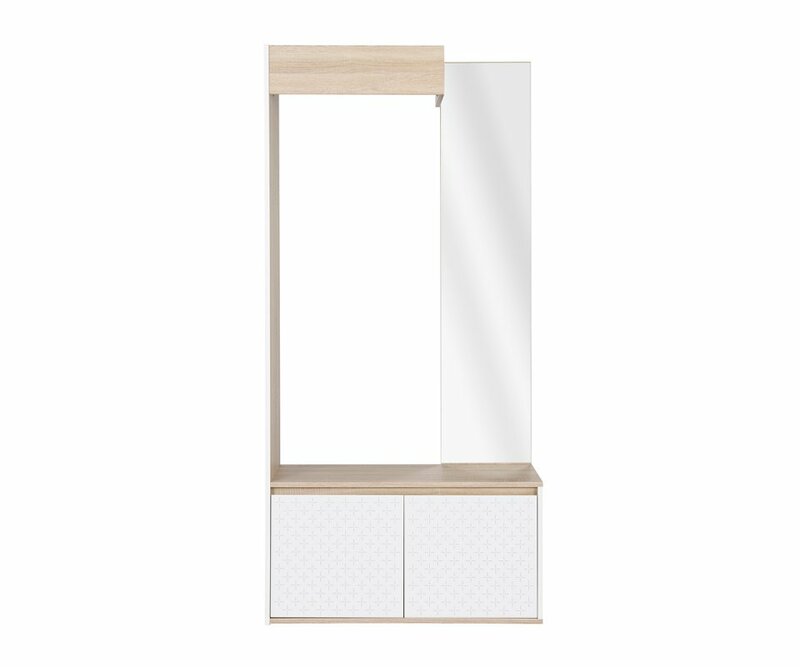 This Scandinavian-style freestanding closet has a hang rail for coats, jackets and sweaters to be stored by the door, a cabinet with natural woodgrain top for baskets to organize things like hats, mittens and scarves, school papers, important things to remember to take to work, as well as inner shelves for shoes and boots. 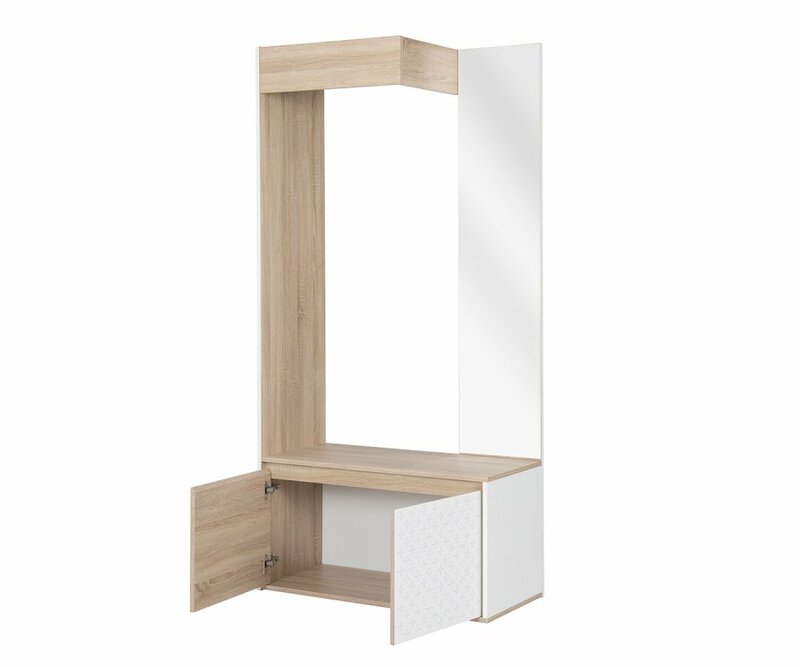 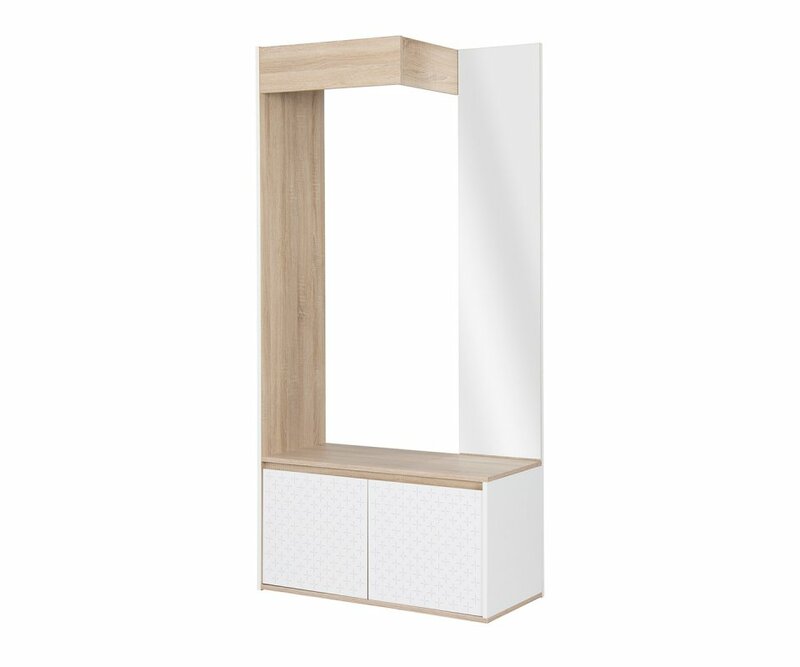 The cabinet is made from top-grade MDF boards, heavy-duty steel hardware and durable, lustrous veneer finishes in white, natural woodgrain, and a white veneer with delicate plus sign design for contrasting accent. 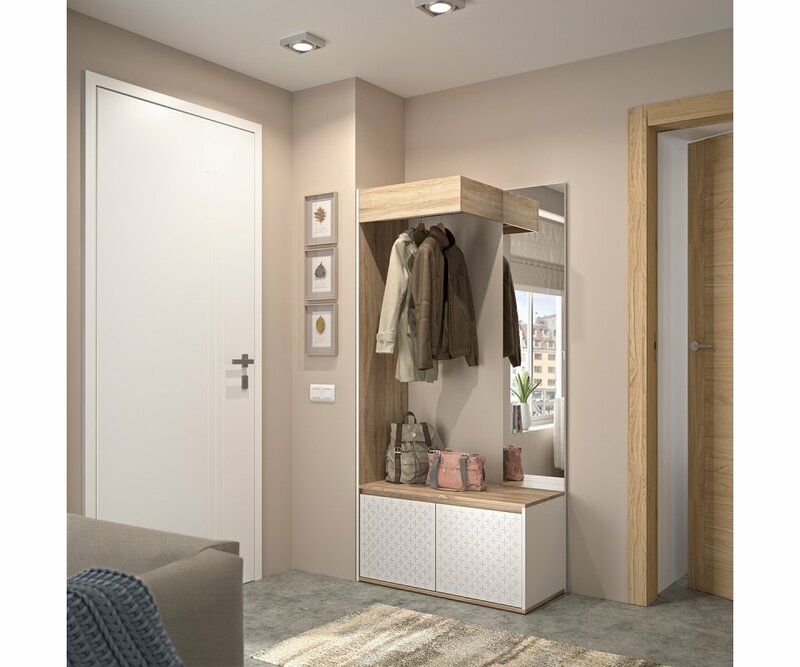 When it comes to adding a closet space in a hallway or mud room in your home, condo or even a studio size apartment, the Plus Hallway Unit is an ideal choice!